Metal crashing tumultuously into metal is a sound that you can’t forget. An automobile accident – even to a careful driver like you – has left you shocked, angry and puzzled about how to go about picking up the pieces to what seems like the end of the world. The good news is that you have purchased auto insurance to financially protect yourself, and others involved, in the event of an accident just like this. In Florida, that means state law has required you hold Personal Injury and Protection (PIP) insurance coverage. And hopefully, you have the optional, but necessary, un/under-insured (UM) motorist coverage too. Your injuries are paid for, no matter who caused the accident, up to $10,000 minus your deductible. PIP sounds pretty straightforward, but you would be naïve to think the process to reimburse you for your injuries or lost wages is efficient, effective and entirely functional. Insurance is meant to safeguard health. Whether you are a consumer who needs assistance with a claim, or perhaps, a medical provider or billing manager seeking reimbursement for services, you are responsible for holding insurers to this obligation. When the steps to do so become complicated and overwhelming, first, take a deep breath, and then call Philip Friedman. For the past two decades, Mr. Friedman has been on the other end of thousands of phone calls and has represented many of these individuals in personal, commercial or institutional proceedings. His sound legal arguments and analytical thinking are trademarks of his tenure; first as a practicing attorney and currently as the founder of FL LEGAL GROUP. Prior to his entry into law, and following his graduation from Appalachian State University with dual degrees in hospitality and business management, Mr. Friedman managed restaurants for several national chains. The experience not only required him to wear many hats, but also instilled in him a hands-on approach that is endearing to medical practitioners who face the daily challenges of not only providing the best in care, but making practical decisions for their businesses. Mr. Friedman takes pride in these victories that have reversed wrongs into rights for small and overmatched business owners before state and federal tribunals, agencies, and appellate courts. Well-regarded in both the medical community and in legal circles, Mr. Friedman has a no-nonsense reputation for being frank and to-the-point. While health is paramount, Mr. Friedman recognizes the real financial considerations involved for both the injured victim and the organizations that provide for their valuable treatments. His knowledge of Florida motor vehicle statutes, Personal Injury Protection insurance, administrative law, including occupational and professional licensing, and general civil litigation is unbounded. 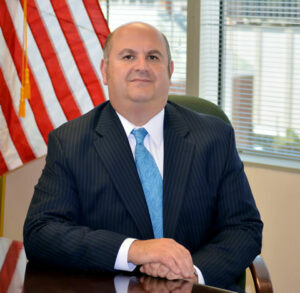 After the restaurant industry, he obtained a law degree from Tulane University School of Law where he also obtained an M.B.A. Mr. Friedman is a member of the Florida Bar Association and is licensed to practice in each of the state’s courts, circuits, and districts, as well as the U.S. District Court including the Middle and Southern Districts of Florida. He has argued admirably and with great success before juries, in bench trials, and the District Court of Appeals. Hiring an attorney does not have to immediately come to mind following an automobile, truck or motorcycle accident. Physical pain and emotional distress should be ministered; however, skilled and honest advice should not be overlooked once the physical pain and emotional distress begins to subside and financial realities become clear and pressing. Put your mind at ease. The best of what seems like a dire situation is a no-cost consultation away. and the Florida Trend Magazine calls him a “Legal Elite”.